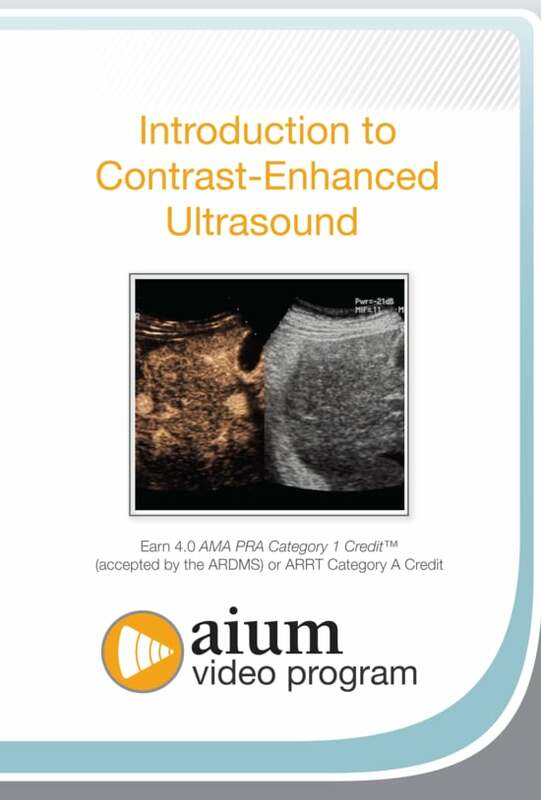 Objective: At the conclusion of this video, viewers should be able to provide general overview of contrast-enhanced ultrasound (CEUS) including technique and Instrumentation, Integration in clinical practice, and basic clinical applications. The AIUM designates this enduring material for a maximum of 4.0 AMA PRA Category 1 Credit™. Physicians should claim only the credit commensurate with the extent of their participation in the activity. CME credit for this video program is available through December 1, 2021. The online CME test is $25 for AIUM members, $100 for nonmember physicians, and $50 for nonmember sonographers and nonphysicians.